1. 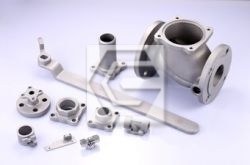 Investment casting can apply any material and more flexible of production capacity. Casting material without any restrictions, such as aluminum, magnesium alloy, titanium alloy, copper alloy, all kinds of steel, cobalt and nickel-based heat-resistant alloy, hard materials. 2. 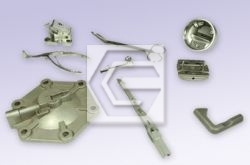 Investment casting can produce and make for thin-wall, complex shape, delicate floral form, multi-working procedure, difficult-to-machine material, near net-shapes and several components become one piece. 3. Investment can save material waste and mass production. 4. 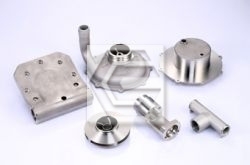 Investment casting can offer the maximum of casting limits length is 700mm, easy to make the length of 200mm or less. The maximum weight is about 100 kg, but generally is under 10 kg. 5. Compare with other casting method, investment casting can achieve the purpose of short working time and low cost which doesn’t need many working procedure, large mechanical process, low productivity and waste lots of material in order to bring high cost components. 6. Investment casting can achieve such as complex components can be casted holes, pitch, groove, teeth, notched, thin sharp edge and other forms. Due to fine dimensional accuracy, more than 90% no longer need to be processed such as milling, turning, boring.